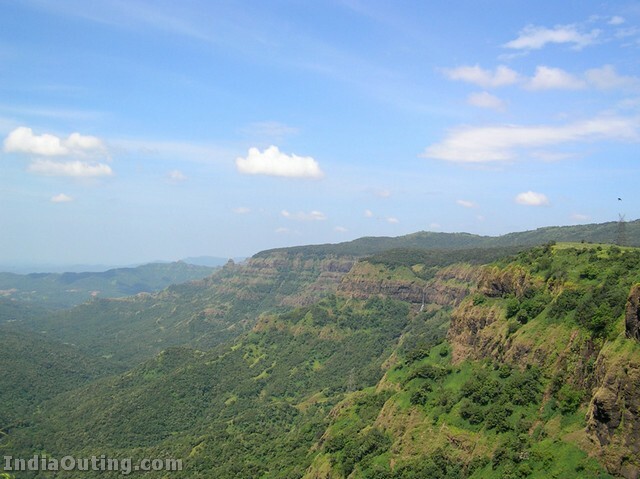 Amboli is a hill station in south Maharashtra, India. At an altitude of 690 meters it is the last hill station before the coastal highlands of Goa and a relatively unexplored one. Amboli lies in the Sahayadri Hills of Western India, one of the world’s “Eco Hot-Spots” and it therefore abounds in a variety of fairly unique flora and fauna. However, as in the other parts of the Sahaydri Hills, denudation of the forest cover and unregulated government assisted “development” (read “hotels, resorts & highways”) are gradually ruining a once pristine environment. Historically, Amboli village came into being as one of the staging posts along the road from Vengurla port to the city of Belgaum, which was extensively used by the British to supply their garrisons in south and central India. 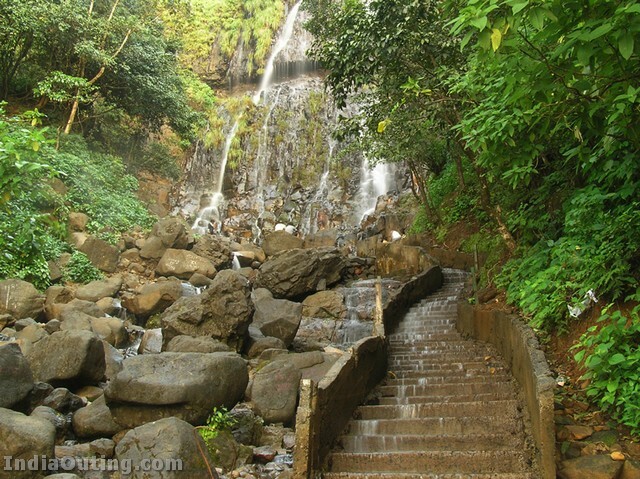 The hills of Amboli village provide one of the sources of the Krishna river (The “Ganges” of south India) and an ancient Shiva temple (called Hiranyakeshi) exists at the cave where the water emerges. The main attraction for tourists is the incredibly high rainfall (7 meters average per year! 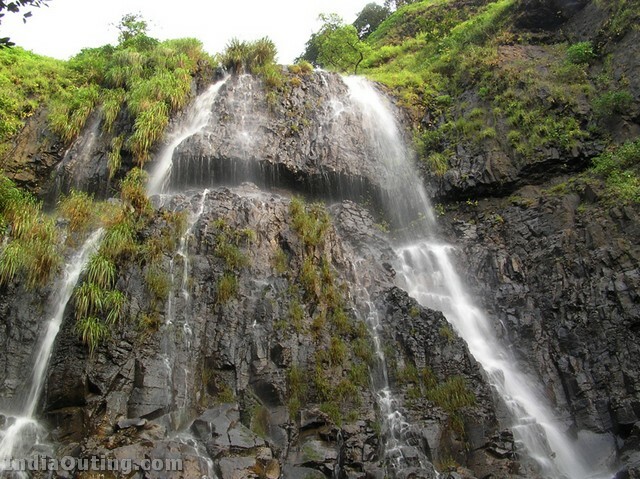 )and the numerous waterfalls and mist during the monsoons. 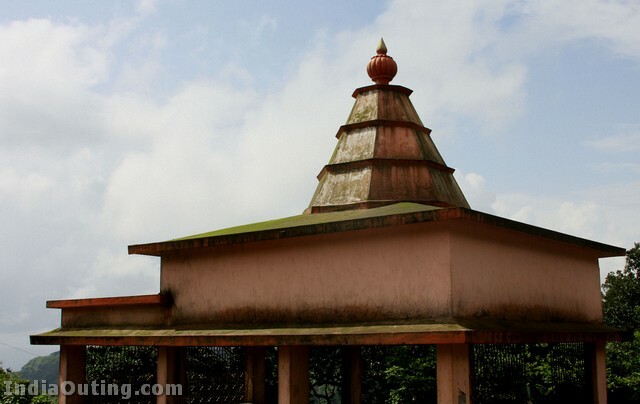 Legend has it that there are 108 Shiva temples in and around Amboli of which only a dozen have been uncovered, one as recently as 2005. There aren’t too many places to see or things to do but its quiet, unpolluted and the local residents are good natured and helpful. 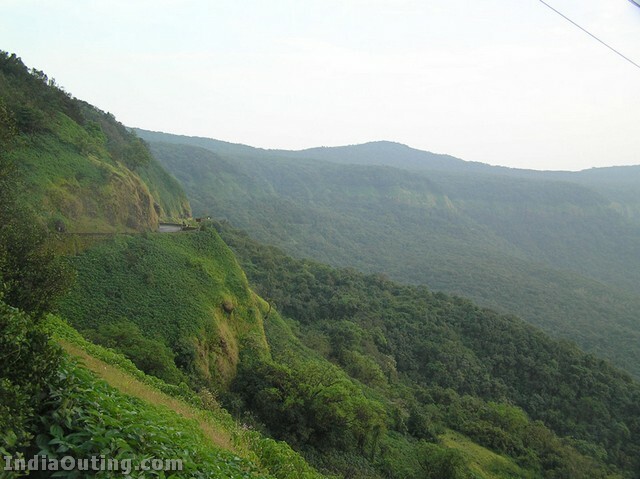 Amboli is well connected by road to all the surrounding cities (Kolhapur 110 km, Belgaum 70 km, Panjim (Goa) 90 km) by road and the nearest airport is at Goa, about 2 hours drive away. All the roads are good and a new airport is expected to come up in north Goa shortly, reducing the travelling time to just over an hour. 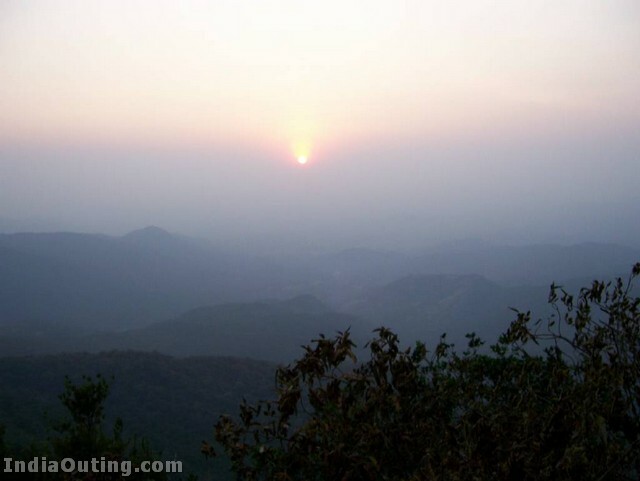 There are 5 decent (and relatively cheap) hotels at Amboli although, sadly, none of them offer any guided tours into the forests, the main attraction of this hill station. However, an organization called Yoga Republic conducts Jungle Yoga camps and retreats from October to March. The only local transport are motorised 3 wheeler rickshaws and a couple of private taxis. You’ll need them only for a day to check out the touristy places and can then depend upon your legs to take you the ones that interest you most. At North, Devgad and Vijaydurg are the not-to-be missed places. Visit to Devgad will be well worth it if you are going in April or May- The prime time for mangoes. Devgad is well known for best quality mangoes’ production. Vijaydurg and Sindhudurg are forts. Though now withered by time, they do present a treat to savour the might of Shivaji’s time. 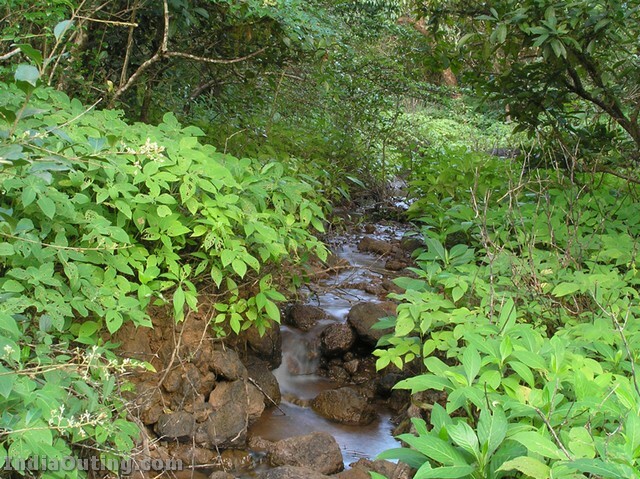 Sawantwadi is a centre of tourist attraction in the south of the district. 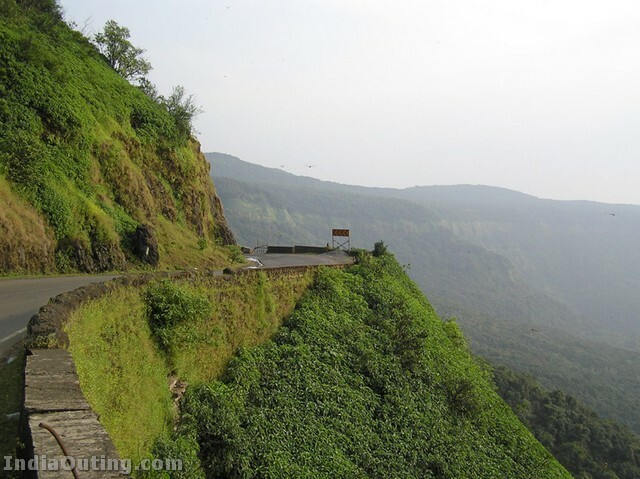 Many places like some beaches or hill station, Amboli are within a short reach from Sawantwadi. 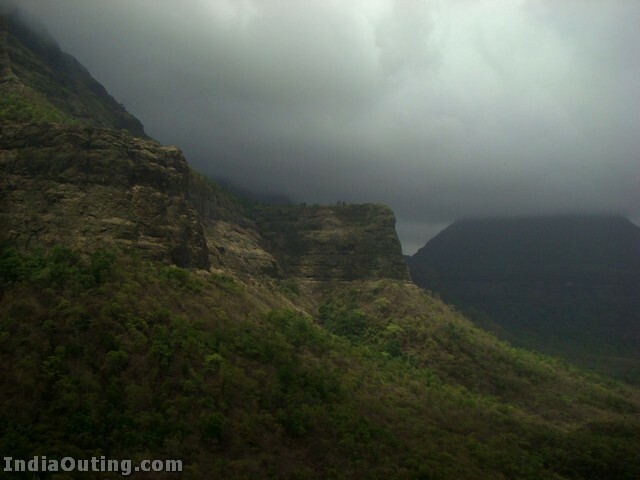 Amboli, a pristine hill station – unspoilt by manmade vagaries is a must-visit place during monsoon. It also hosts adventure sports academy which intermittently organises adventure camps which include activities such as Jungle Trail, Rock Climbing in Waterfalls and possibly paragliding. Well too many places to hang around.. Just to quote a few it would be better to go with the locations..
when shall we go to this place ,my soul? Nice pics and well illustrated. I feel it is worth visiting once in our life time!! 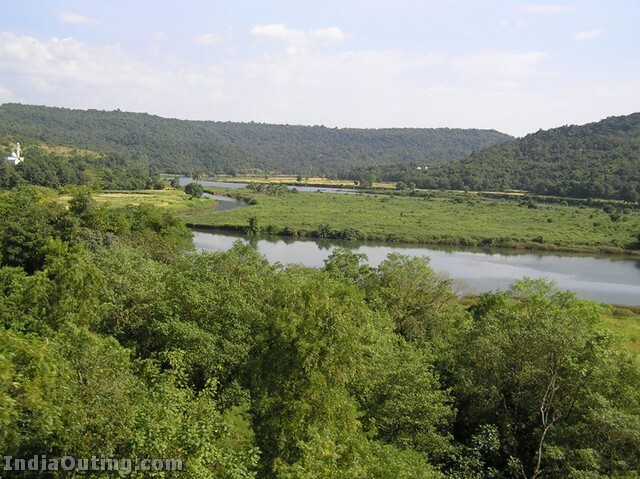 this is the wonderful place to see nature and piece. akdum jakkas, thanks a lot for sharing it, it actually heals the people who looks at these photographs. It did to me, anyway. Its a wonderful place. One should visit this place at least once in a lifetime. Its scary on the narrow ghat roads but leaves a thrilling experience. I have come across this place on my way back to Pune from GOA. Its early hours of the day around 5 in the morning. Felt like in heaven. The lush green trees, the sounds of the birds and the running water in the mountains. Wow that was an amazing experience. I couldn’t stop there as the road was bit scary and couldn’t find the clear way due to the clouds and fog around us. we suddenly reach the waterfall given in the first picture. Its beside the road and the sound of the falling water really leaves us stunned with its unexpected appearance on the way. The people are also friendly and helpful. beautiful!!!!!!!!!!!!!!!!!!!!!wonder!!!!!!!!!!!!!!!!!fantastic!!!!!!!!!!!! !.One day i will visit this. wondreful, every body must visit there.there is nothing without Nature and God is there. Pleasant land like a virgin. Wish to maintain its grace by controlling civilization. Mother India save the land and county! india is a wonderfull place. the people are so loving and accomodating. God really do exist here. waiting for a keen companion with whom I can have a memorable holiday. I visited 3 times, at the time of passes to Goa, very beatiful place at the time of raining, marolous. It’s worth to visit in rains. But nowadays it’s needed to keep the police protection on the sites, as vulgar public is increasing. Drinks should be prohibited there with strict check on the entry points. Its dangerous but beautiful. Mind fresh becoz cities large polution. it is a must visit place especially in no season, i.e. when there is no crowd of boozers. 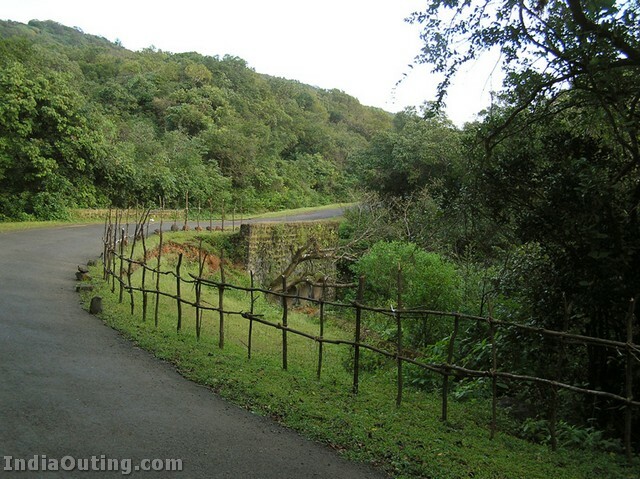 pristine beauty is amboli. areas nearby are also must see destinations. this is earth no need to think about heaven. THIS IS SUPERB SITE OF ALL OVER HISS STATIONS. Very Very nice Place I Like it. I Visited Every Year Reainy Seasion. I appreciate your work. Thanks for the nice info. and the pics. Just one suggestion, you can add on 2 pic.s of the maps- one of that actual place and the other of surrounding region(so as to know about the places from where to board for the place of visit). This june will be my second visit and for my family and me this place is heaven. It has all the that one requires to relax. Many ways to catch this place but by road only. From Belgaum, via chandgad, from kolhapur via niapani – ajara, from goa, via sawantwadi, from mumbai, via goa highway – sawantwadi. 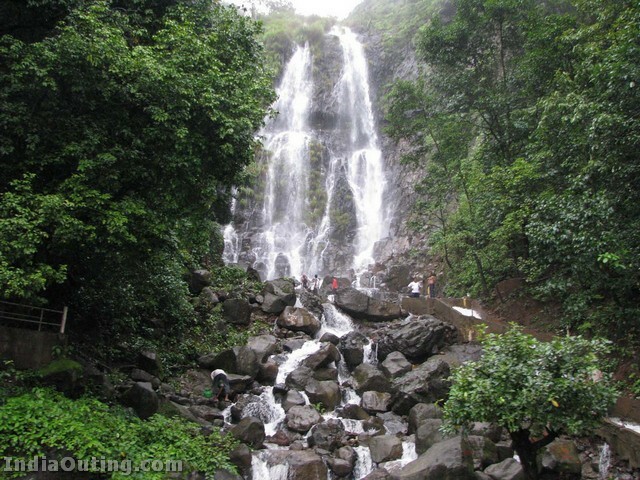 Some places in & around amboli for tourist: 1.Hiranyakeshi 2.Nagartas fall 3.Narayangad 4.Sunset point 5.Mahadevgad Point 6.Kawalesad point 7.Shirgaonkar Point 8.Amboli Falls 9.Purvicha Vas 10.Manohargad- Manasantoshgad point 11.Madhavgadh Fort 12.Botanical Garden 13.Amboli Dam. Other near by places are 1. Sawantwadi 2.Redi ganapati 3. Shiroda Beach 4. Terekhol Fort and lots more. 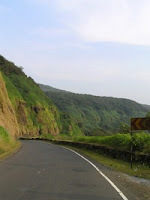 Guys you even a month is not enough to see beatiful konkan. Suggest use ur life time…….. Wait for give my footprint in this heaven. It is Realy Beatiful place in India. i like very much….